FOG! Chats With HIGH HEAVENS Game Creator RYAN LESSER! 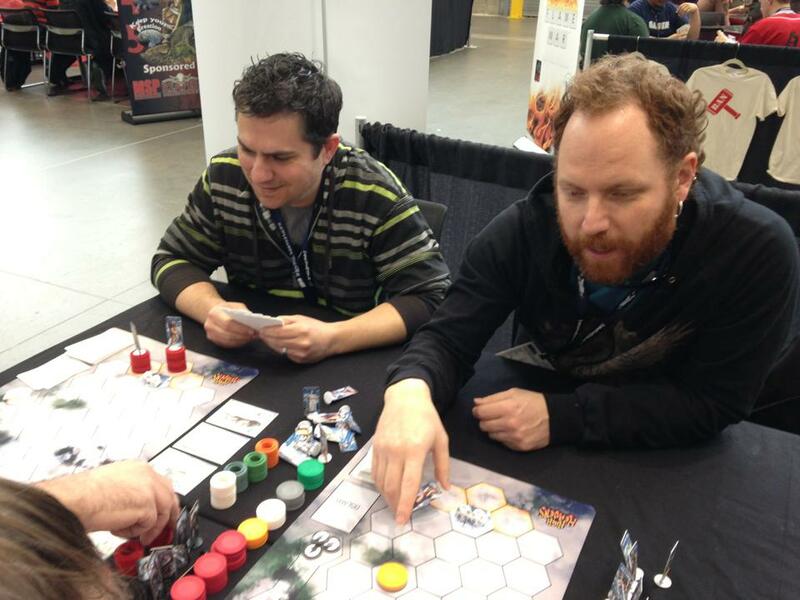 For almost two decades, game designer Ryan Lesser has been part of the Providence art scene and part of the RISD community, both as a student and later as an adjunct professor. A long time collaborator of artist Shephard Fairey, Lesser divides his time as an artist, musician and video game designer and art director for Harmonix, working on such games as Guitar Hero, Guitar Hero II, Rock Band and The Beatles: Rock Band. 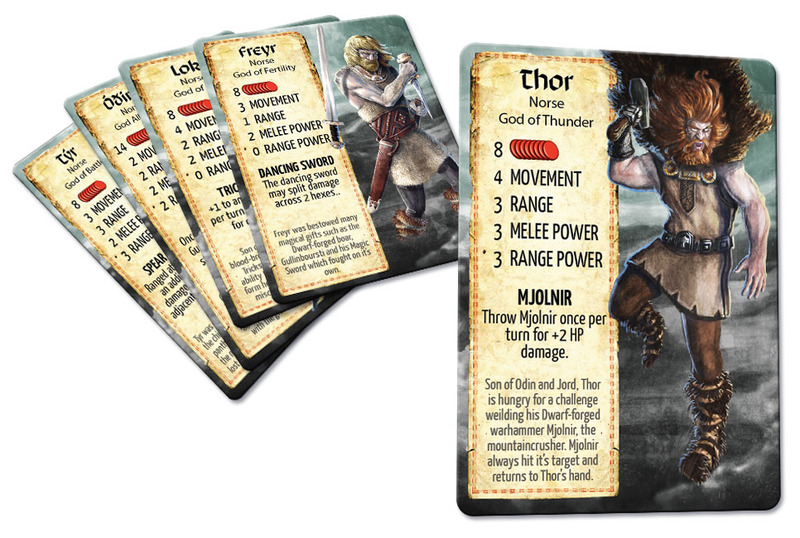 Now, Lesser is currently in the home stretch of fundraising on Kickstarter for a project that he’s extremely enthusiastic about, High Heavens, a table top game that pits the ancient Norse & Greek deities and demigods against each other in battle. Ryan took some time from his busy schedule to discuss the project and what people can expect. What’s the concept of the High Heavens? 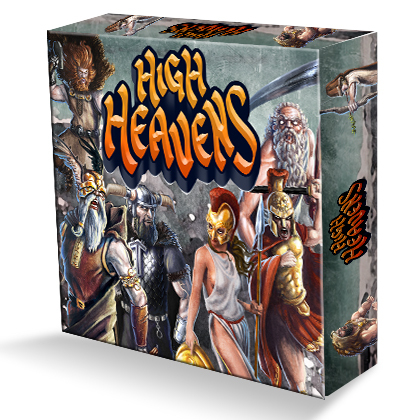 In High Heavens players take the roles of The Norse or Greek gods. The goal is to either destroy the other pantheon’s home-base (Asgard or Mount Olympus) or destroy all of the gods in the opposing pantheon. Players draw cards to invoke gods to the battlefield as well as play Divine Power cards. Each god has unique statistics that vary it’s abilities in movement, range, and attack power. Gods also have special abilities associated with the mythos of the particular deity. One god may make armor (Hephaestus), while another may have a powerful range attack (Thor with Mjolnir), or an ability to heal other gods (Idunn). Both sides have different styles that lend themselves to different strategies. What was the genesis of this project and what are it’s influences if any? I have been obsessed with mythology since I was a kid, spending hours in my room pouring over D’aulaires Book of Greek Mythology. These ancient myths and the powerful beings created in them, are the basis of so many of our modern day heroes. They are the archetypes of badasses. As a board gamer, card gamer and war gamer, I thought it would be pretty sweet to command an entire pantheon of gods. As an artist, there is so much inspiring content to draw from. As far as gameplay, I personally play a wide variety of tabletop games, some of which can take many hours to complete. Although this is cool, I was pretty interested in creating something that played faster, a half an hour to an hour. High Heavens is aggressive and quick… lots of fighting! This game has some of the qualities of Magic: The Gathering in the way the cards play and some of the qualities of Chess in the tactile and tactical quality of the game and attack strategies. Games like Neuroshima Hex, Summoner Wars and Hero Academy also come to mind. 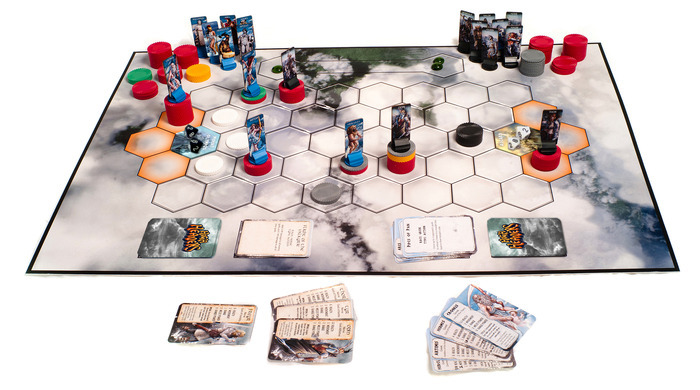 With over fifteen years experience working on video games such as Guitar Hero and Rock Band what is the appeal of board games and what about High Heavens sets it apart from other games? I love video games, no doubt, but there is something that is really great about sitting around with friends or family and playing face to face in a board game. I am also a sucker for crafted things that you can hold in your hand, I like moving pieces around a board and actually holding cards with great artwork in my hands. In High Heavens, because of the use of the chips to represent the gods’ health, you get a real sense of drama. As Cronus eats other gods he literally grows bigger on the board, as a god gets attacked he becomes smaller. This idea originally comes from wanting to take the traditional health meters in video games and transfer it into a physical representation in board games. It is very satisfying to build a god up or attack another goad and see them very literally get smaller. Can you share some details of the Kickstarter rewards? Well at a Basic level, you get the board game itself. Above that, the reward tiers are being filled up with expansion packs of new gods, terrain types, monsters and even 3d resin miniatures. There are a few Stretch Goals as well, which mostly focus on improving the game components that come in the Core Set. To support the High Heavens Kickstarter click HERE!